Work as a team to win! Our exclusive new game combines disc-flying skills with ring toss and familiar team play tactics. One player flies a disc toward a target while their teammate tips or jams it onto the poles to score points. 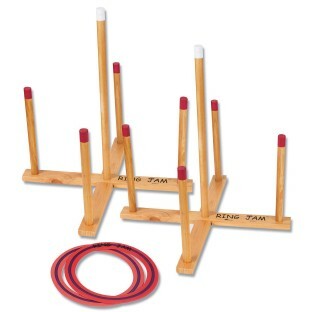 Includes 2 easy-to-assemble wood targets, 2 flying rings, and rules.